Just a quick little drawing I did. My SPD affects not only me but everyone in my life. I’m trying to be more proud of who I am and how far I have come. 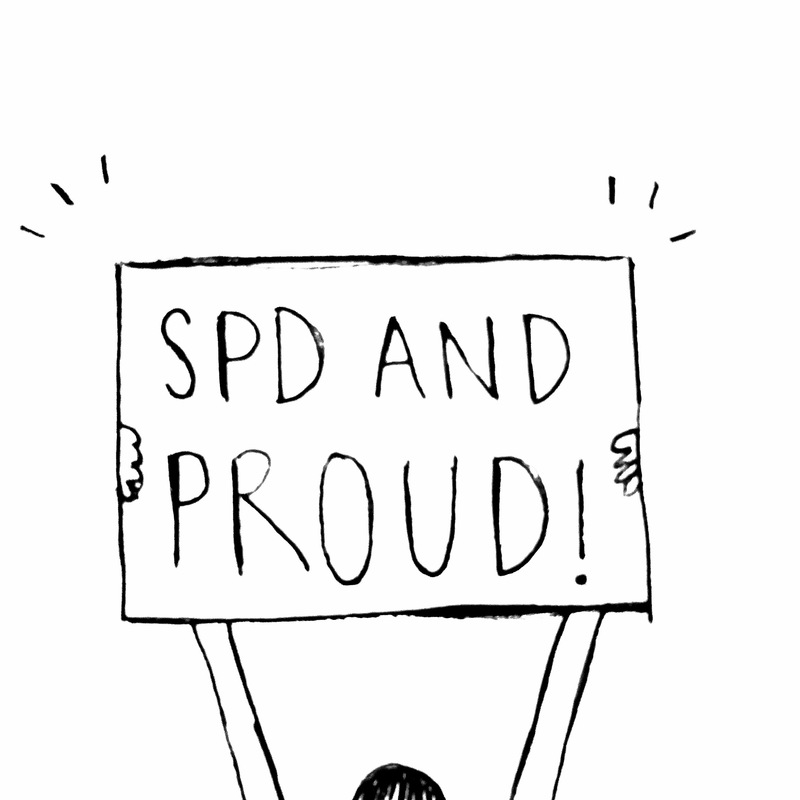 Yeah I have SPD – but I’m proud!